Here at Fashion by Liz, we refer to the following charts when filling orders unless otherwise specified. Please view the charts below when considering what size to order. 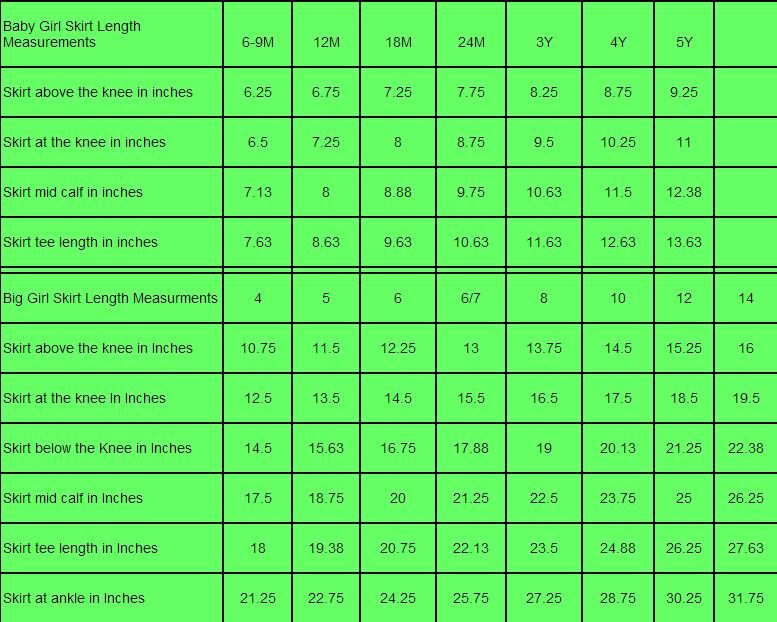 If different sizing parameters are used for a specific garment, the correct chart can be viewed on that garment's page. 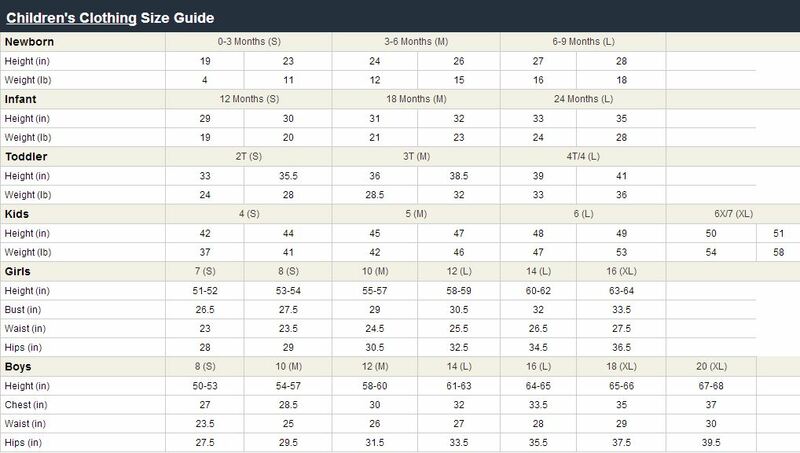 Skirt chart courtesy of ChildrensSizeChart.com. All other charts courtesy of Overstock.com.